A long, extended piece! 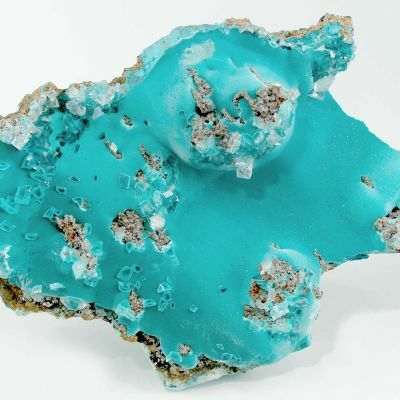 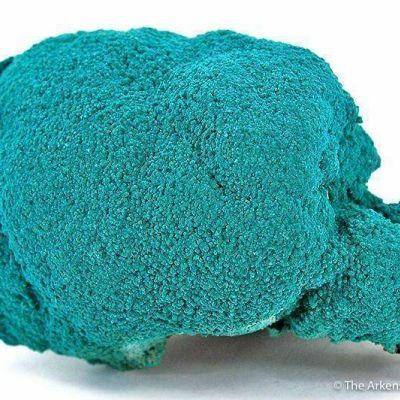 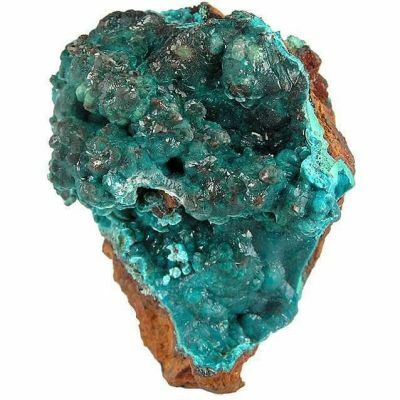 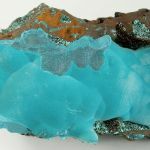 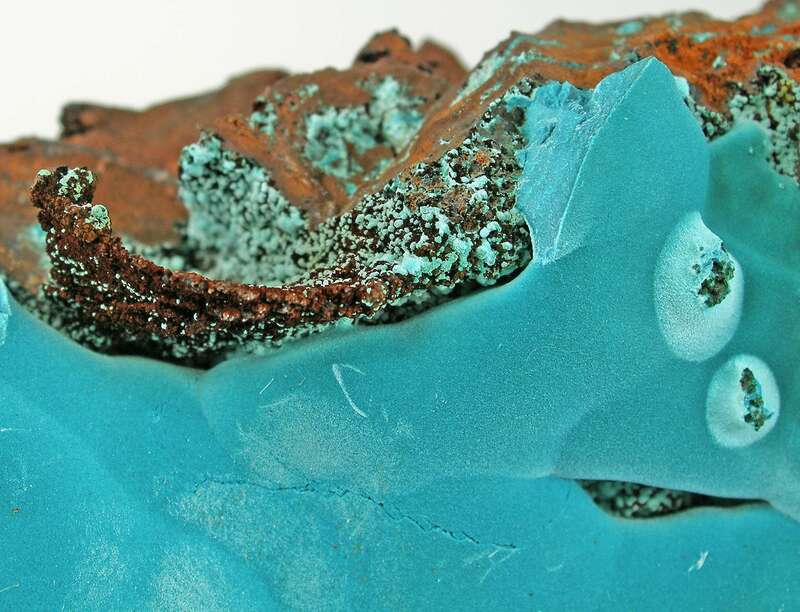 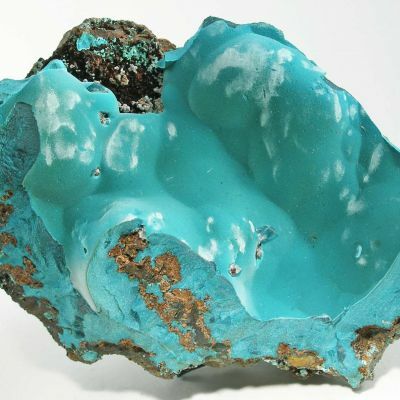 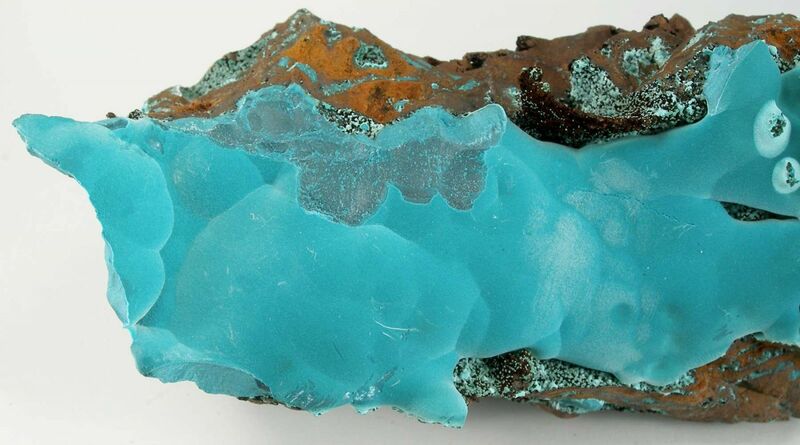 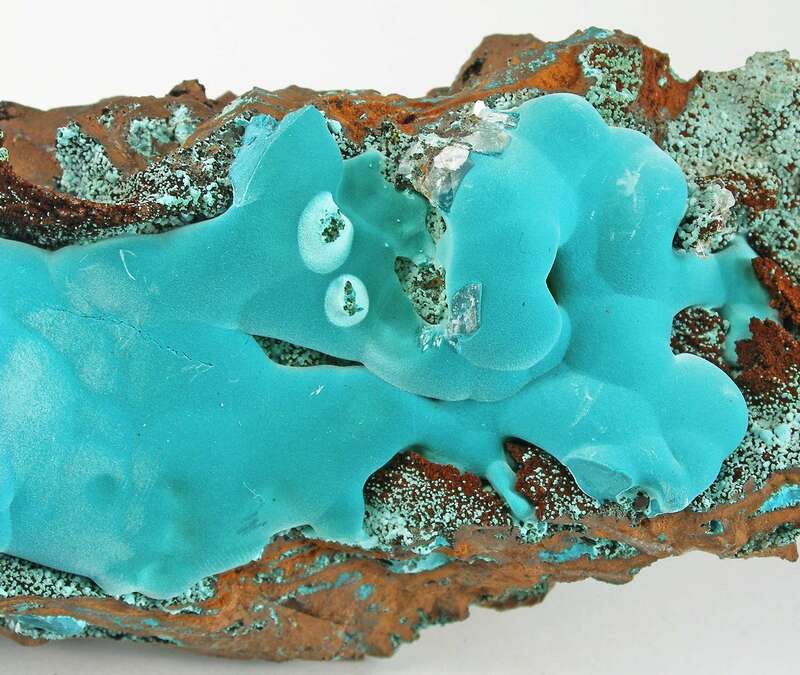 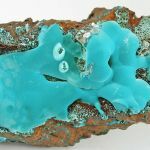 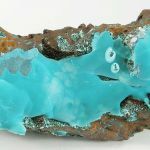 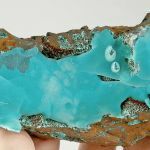 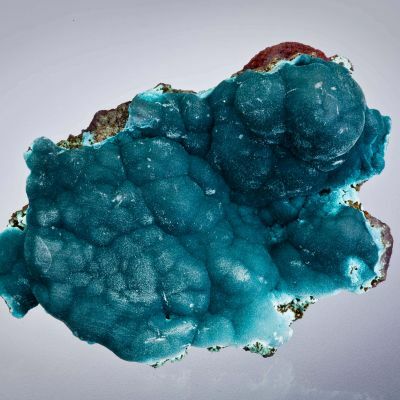 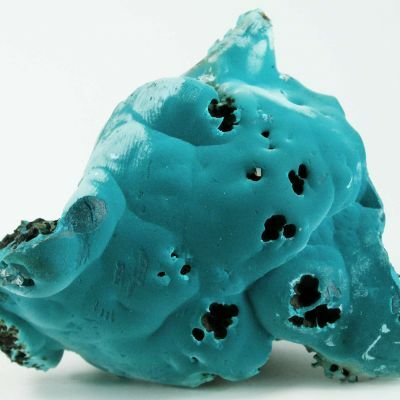 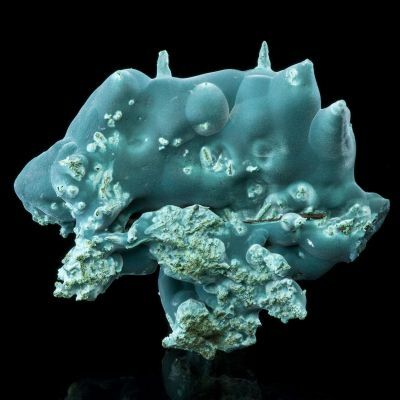 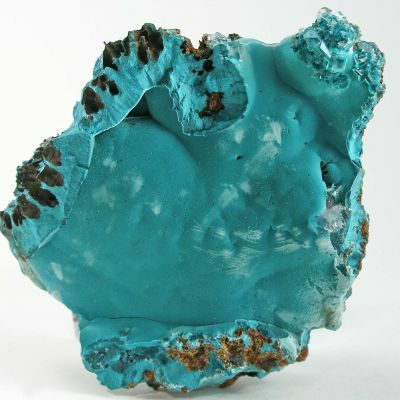 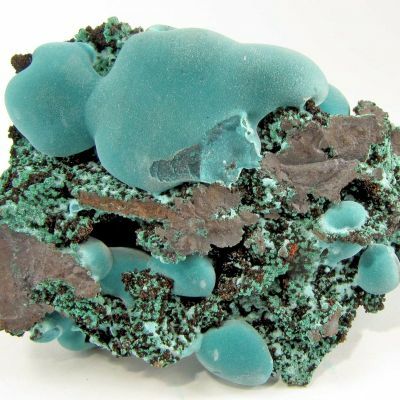 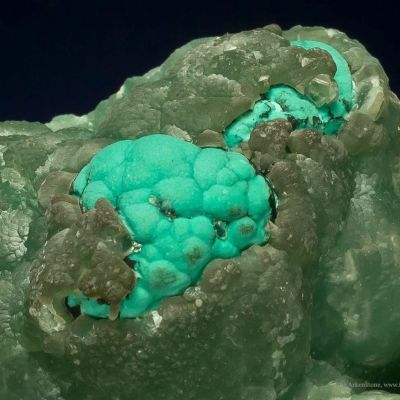 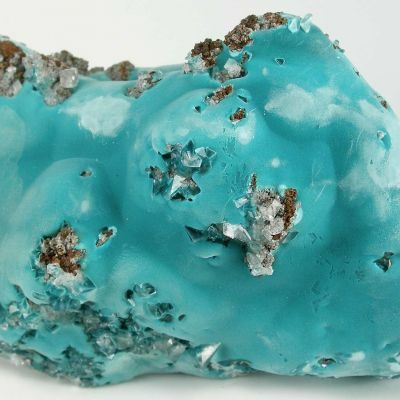 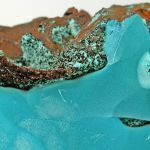 Resembling a ski slope, or a glacier, this undulating, velvety, intensely colored blue-green mass of botryoids is nestled in a valley of brecciated and vuggy limonite matrix. 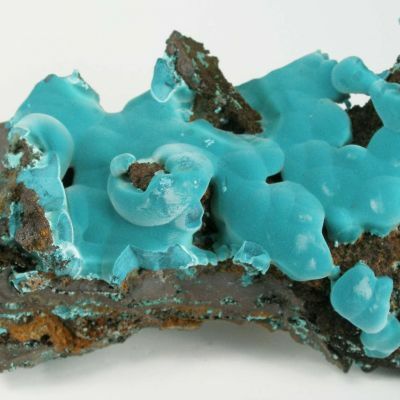 Sparkling, glassy and gemmy colorless calcite rhombs, to 7 mm across are scattered on the rosasite or in vugs. 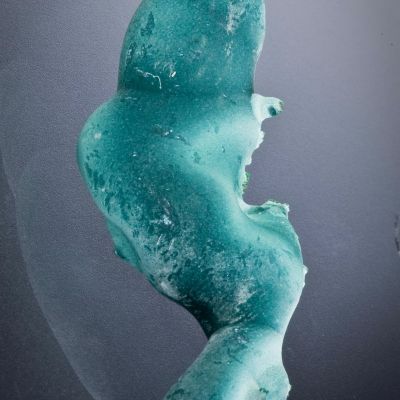 Outstanding and compelling big piece!